A new take on red, white and blue and love all over the place. AL Gawlik Photography is telling a story with this scene of serenity and muted colors. 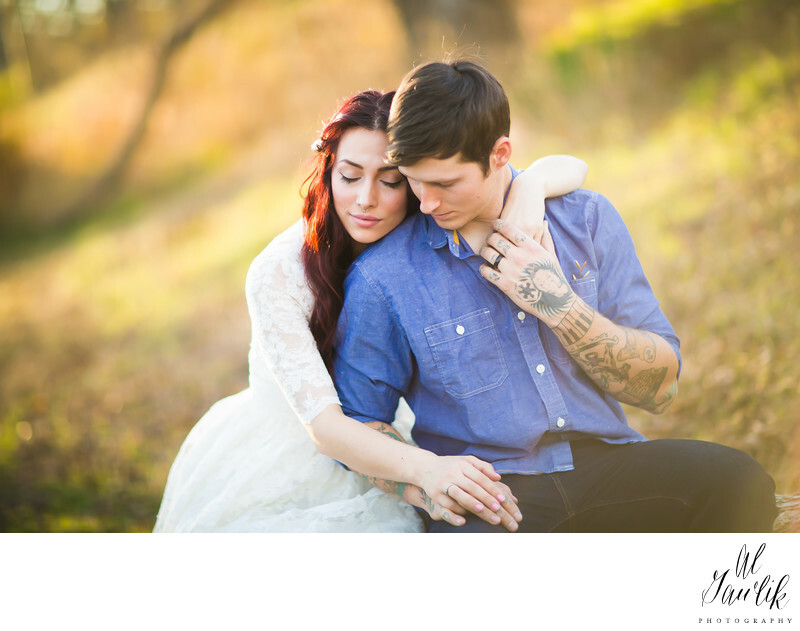 Lovely couple poses at the edge of the woods in this beautiful engagement photo that is certain to find its way in the never ending story of this happy couple.